I have been busy with my twin girls who are almost 9 months so blogging here has been sporadic. I do post odds and ends at robsheard.com if you are interested. 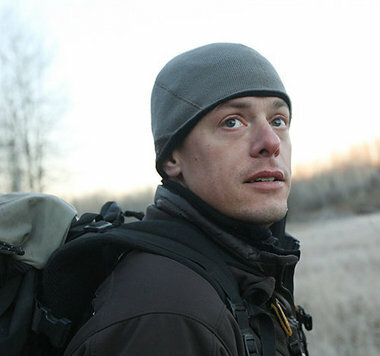 I had to write about a new show, last night I caught the premiere episode of Steven Rinella’s show Wild Within. It is produced by a company called Zero Point Zero which produces my favorite show No Reservations with Anothony Bourdain. It is unlike anything else on TV, it is a bit of an adventure show, a hunting show, outdoor lifestyle and cooking show all in one. This is isn’t a hunting show on ESPN 2 at 6AM on a Sunday morning with rednecks and souped up pick up trucks lure deer on a game reserve. My brother and father are avid outdoorsmen and I grew up hunting so I enjoy watching Steve and his family live out a lifestyle I wish I could. People love to say “eat local” and know where there is food is coming from which is of course noble but no where near hunting and foraging for all of your meals. I would be most interested in hearing the opinions of this show from people who are anti-hunting. If you have never tried eating wild game you are missing out on some of the most flavorful and robust flavors that cannot be duplicated in domestically sourced or farmed meat.